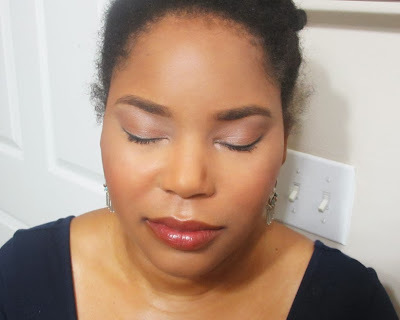 I wanted to share a natural makeover that I recently did on one of my good friends. She was going on a first date and she's already a very natural girl so we went for a fresh, light look. Check it out! The key to this look is to focus on clean skin and highlight and color where needed. 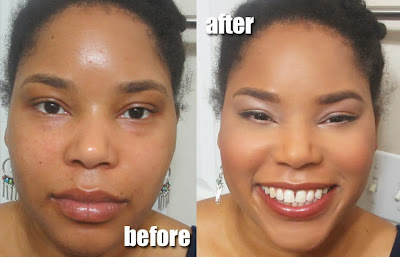 I used Graftobian HD Glamour Cream Foundation to spot conceal where needed an a lighter later of Makeup Forever HD Foundation to even the skin tone. On the eyes, I applied MAC Arena eyeshadow - a shimmering tan to the lid. Then I highlighted with Shroom on the browbone and tear duct to give light to the eyes. I added soft brown to the crease and outer v for a soft, natural contour. On the lips, I applied a berry lip stain to add a natural pop of color to the lips. I also applied a coral blush to the cheeks along with Benefit High Beam to give a pop of colorful glow to the face. Today we featured a natural look but tomorrow I'm featuring a glam makeover that I also did on my friend!